The 2019 Miami-Dade County Camp Guide – including Day Camps, Overnight Camps, Creative Arts Camps, Education Camps, Specialty Camps, and more. Children participate in an all day summer enrichment program that focuses on social and cultural experiences, recreation, team building and educational activities. Activities include a computer lab, game room, arts and crafts, literacy classes, a movie room, physical fitness, field trips and more. Camp J Miami strives to build confidence, stretch imaginations and teach new skills. Campers from infants through grade 9 participate in age-appropriate favorites including sports, art, swim instruction, field trips and more. Camp runs June 17-August 9. Camp Klurman is about making memories that last a lifetime. Program includes traditional day camp activities, field trips, Jewish culture and more. Camp runs June 11-August 16. Camp Sol Taplin features more than 20 camps serving children ages 2-15. Campers are encouraged to take a journey of self-discovery as they develop new skills and confidence. Activities include aquatics, art, dance, theatre, robotics, cooking, coding, cheerleading, drone, sports and more. Camp runs June 11-August 2. Explorers Summer Camp, for ages 4-10, allows children to explore art, music, dance, performance, language, literacy and more. The museum also offers a Summer Camp with age-appropriate activities for children ages 12 months to 3 years. The third largest county park system in the United States offers a variety of fun-filled summer camp choices including nature exploration, sports, aquatic adventures, performing arts, and more. Visit website for details. 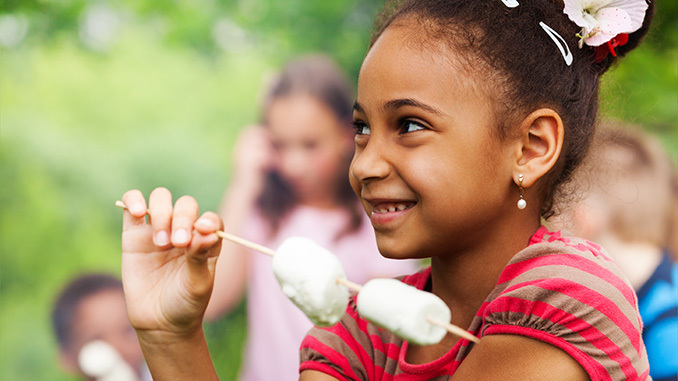 Kids can make new friends and have summertime fun while participating in sports, aquatics, arts, science, cooking, fitness, performances, leadership training and more. Each week features a new adventure. Call your local Family Center for details. Gaga ball, volleyball, table tennis, archery, fishing, ropes, RC Track, arts, crafts, pottery, gardening, culture, field trips, water days, dance, music, and more. A Leader in Training (LIT) program is offered to teens. Early bird pricing available. Children can explore the wonders of science through hands-on activities during week-long themed camps. Young thespians ages 10-17 can develop their confidence, character and presentation skills through dance, acting and singing. This week-long program culminates with a musical performance on the Arsht Center Stage. Students work together using their skills and talents to create a fun-filled, high-spirited musical performance. Program includes performing arts classes, set design, stage makeup, improvisation, movement, educational stations, field trips, a Broadway-style musical revue and more. Offers a variety of free summer camp programs for children and adolescents with autism and other related disabilities. Sponsored by The Children’s Trust, children and young adults with disabilities are offered enriching camp experiences in sports, swimming and arts and crafts at a variety of Miami-Dade County Parks & Recreation locations. Camps are managed by certified therapeutic recreation therapists. The largest funder of after-school, youth enrichment and summer camp programs in Miami-Dade County, this organization offers a wide range of services, programs and camps for children with special needs. Many cities offer a range of fun-filled camp programs to keep kids engaged and entertained all summer long. Activities range from sports, dance, and science to field trips, art and aquatic adventures. Explore the city of your choice for details. A horse lovers’ paradise since 1954. A’top Lookout Mountain, for 50 girls, 8-17; 1 to 9 weeks, 600 acres, English, Western, Barrels, Vaulting, and Trails. CHA instructors teach beginner to advanced riders. Spend 4-6 hours daily with your own camp horse. The Jones family are third generation horse lovers, camp administrators, and equine educators.